Franklin Center: Franklin Library, 1979. 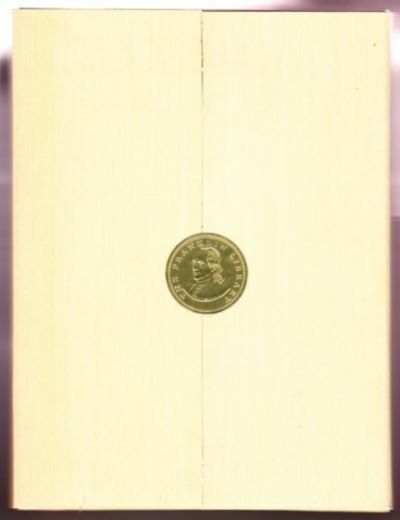 First Franklin Library limited edition. Signed by Shaw as issued. "Special Message" for this edition by Shaw. Illustrated by Dennis Lyall. Gilt-stamped leather-covered boards, all edges gilt, satin pagemarker, tissue insert for signed page. Issued without dustjacket. Includes the publisher's "Notes from the Editors" booklet for this title . "Notes" is 22 pp with black and white photographs; stapled printed wraps. All contained in the publisher's unopened card case with embossed unbroken seal as issued with the original mailing carton. The mailing carton has an inked-out address; the card case hasfew shallow creases. All else is as issued in Fine condition. . Signed by Author. Hardcovers. 8vo - over 7¾" - 9¾" tall.